Memorial at the graves of Prince Rainer and Princess Grace. The Rock of Monaco is a plateau which rises more than 200 feet above the Mediterranean. 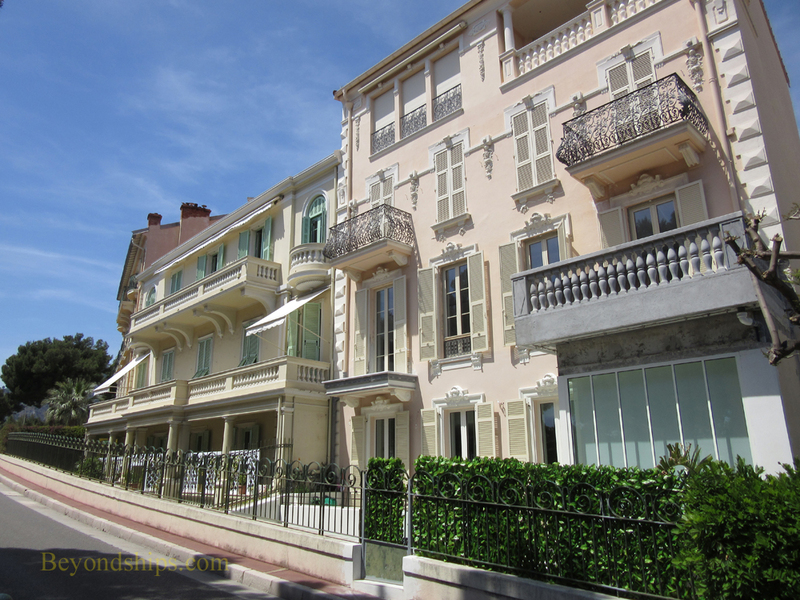 Also referred to as Monaco-ville, it is the oldest area of the city, the place where it all began. 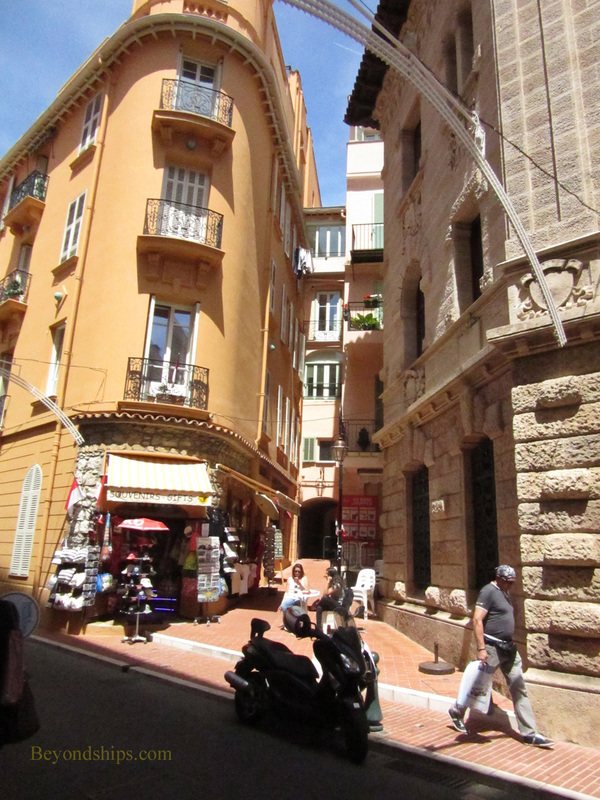 Today, it is the center of Monaco's government and the location of several of Monaco's most popular attractions. 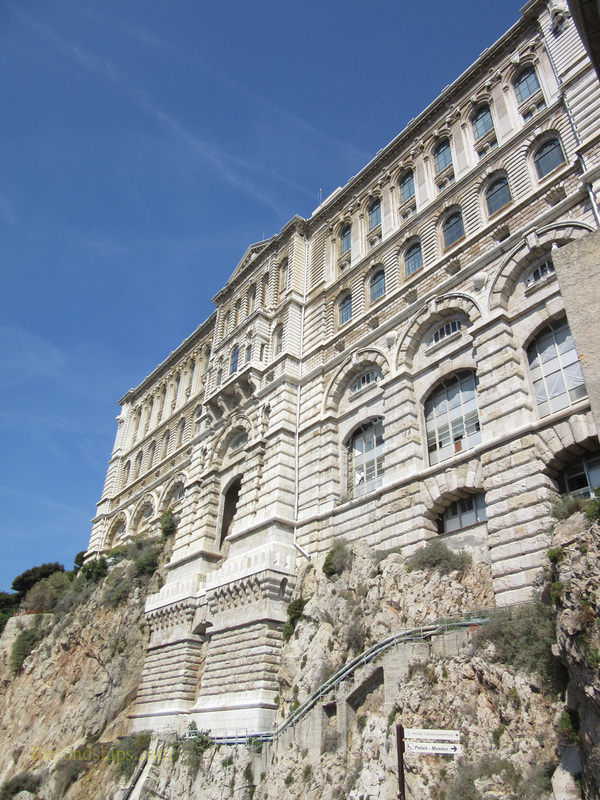 The Oceanographic Museum provides a good starting point for exploring the Rock. It sits virtually on top of an underground parking structure that is used not only by private cars but by tour buses. The parking structure also has elevators and escalators that go from sea level up to the top of the Rock. It thus provides a less strenuous alternative to climbing the staircases that go up the cliffs. Also, the hop on, hop off buses and the Monaco tractor train stop outside of the Museum on St. Martin Avenue. 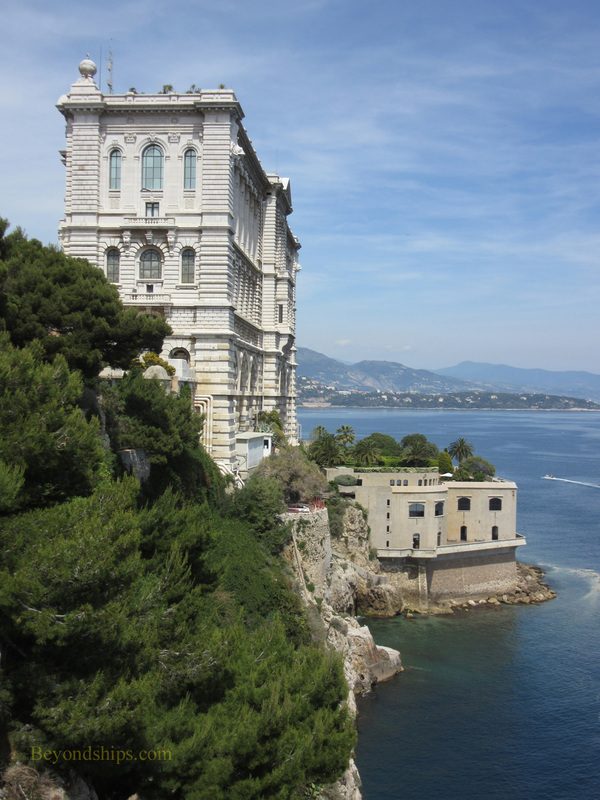 Housed in an impressive Baroque Revival building, the Oceanographic Museum was founded in 1910 by Prince Albert I of Monaco who took a great interest in the sea. Subsequently, it was managed for more than 30 years by the famous undersea explorer Jacques-Yves Cousteau, achieving an international reputation for marine study. Today, it has three aquariums - - a tropical aquarium, a Mediterranean aquarium and the Shark Lagoon. Some 6,000 specimens call the Museum home. Continuing along St. Martin Avenue, you pass a series of clean, perfectly kept villas. Some of the occupants these have connections to the palace and/or Monaco's government. Indeed, some are said to be occupied by members of the royal family. Soon you come to the Monaco Cathedral on the right hand side. It is not very old as cathedrals go having been built between 1875 and 1884. However, the Romanesque-Byzantine style building houses some much older items including an altar piece by Louis Brea from 1500. The Cathedral may be best known for its connection to Princess Grace. Here, in 1956, the Oscar-winning American film actress Grace Kelly married Monaco's ruler Prince Rainer III in a ceremony that captured the world's imagination. 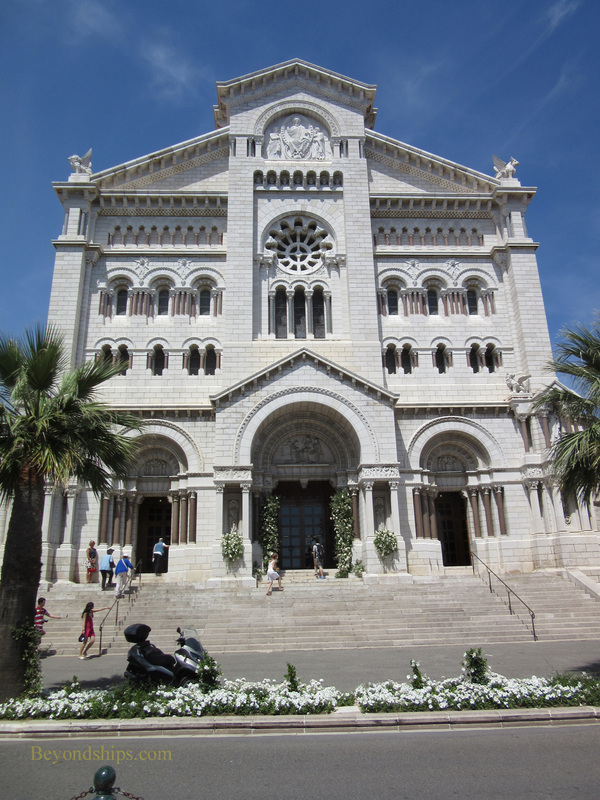 The traditional burial place of the princes of Monaco, the Cathedral is also the last resting place of Prince Rainer and Princess Grace. There are often lines of visitors waiting to pass by the grave site. Turn right outside the Cathedral into the narrow street. After passing by the courthouse, there are occasional cafes and shops. Although this is a popular tourist the sidewalks are not very wide and you have to be careful of the automobile traffic in the street. 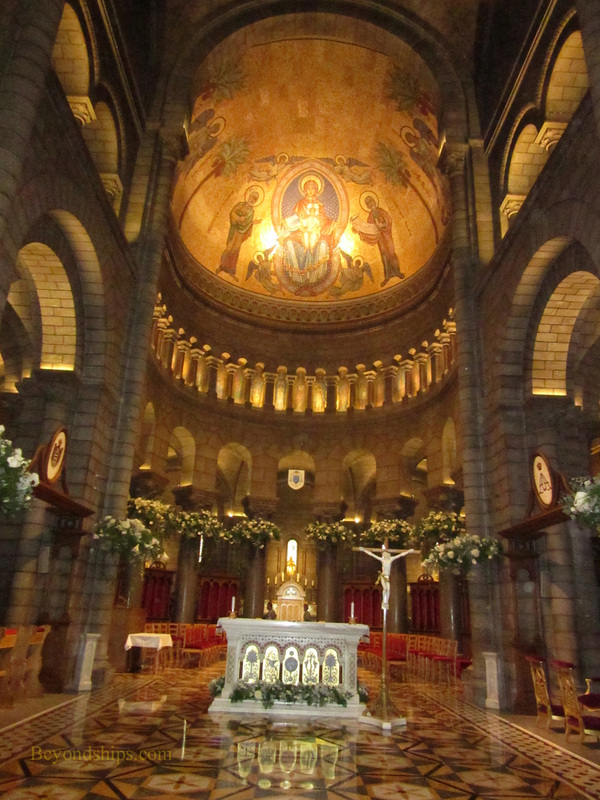 Above and below: The Cathedral of Monaco. Above left: Villas along St. Martin Avenue. Above middle: The Monaco Courthouse. Above right: The narrow strees of Monaco-ville.